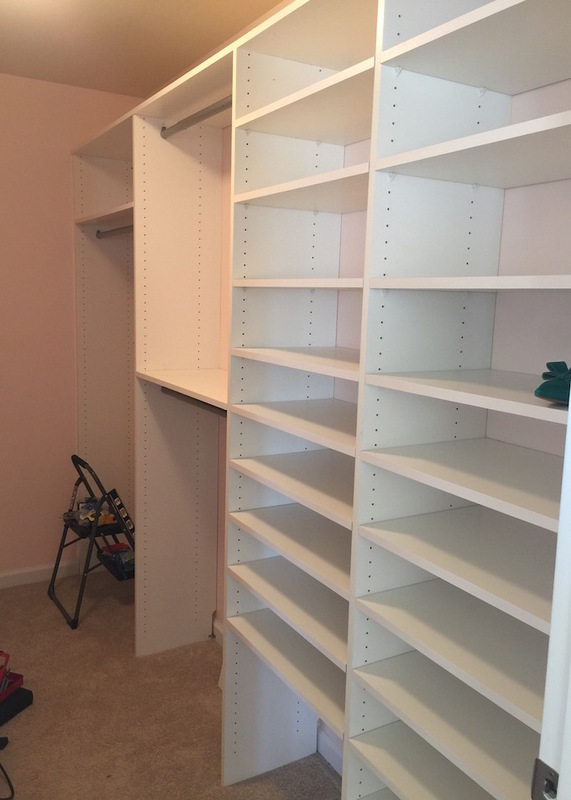 When we built our house, I knew that I wanted a build in closet. I also knew that paying someone to do it would cost an arm and a leg. 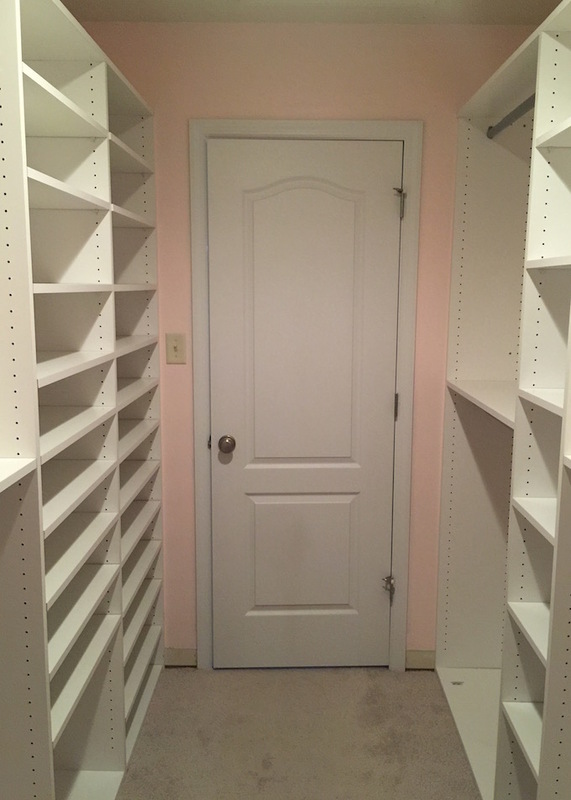 Thanks to my husband, he made all my closet dream come true! He helped me design and make my closet dreams come to life. We only have one thing left to do. Rip out the carpet. I decided to wait until we ripped out the carpet in our bedroom to choose a hardwood floor. That might be a few years down the road. This leopard rug gives it the perfect pop of fun! The majority of the shelving was purchased from Home Depot. I originally looked at the closet kits, but we did not purchase them because they are much more expensive. I found melamine white panels in the lumber aisle. They were much cheaper and practically the same product but for half the price! I really like that I can adjust the shelves. This was especially helpful when I set my shoes up. Your closet is perfect and that rug is so fun. I am drolling over your shoe storage!!! It really turned out so nicely - you guys did a great job! I am so envious!! This closet is amazing! What a beautiful closet you got! Also, lovely shoe collection! Must be so nice to be able to see all your shoes and have easy access to everything! Glad you were able to get this done on such a low budget too! 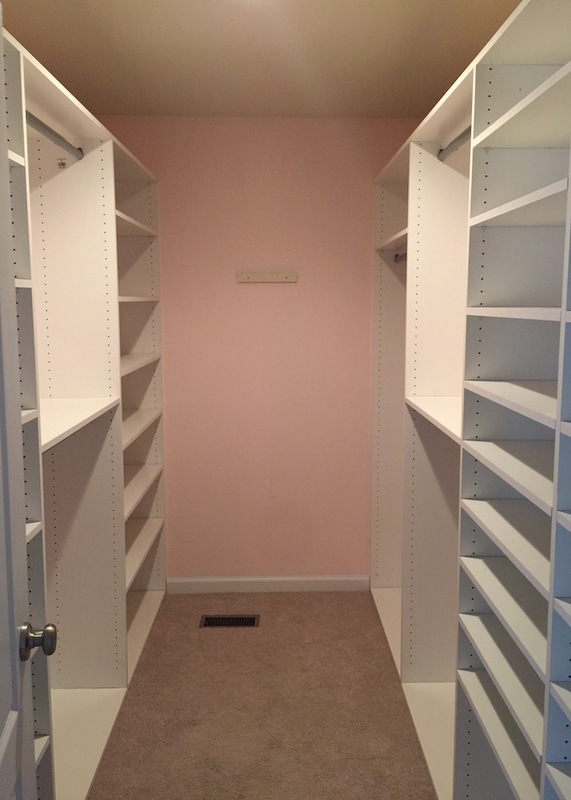 What did the closet look like before? So many heart eyes for this!! I dream of a closet like this! We own a multi-unit home and live in one of the units currently so it probably wouldn't be a good idea for me to take over one of the rooms to turn into a closet, haha, but I'm going to file this white panel idea away for later! Did your husband have to drill all the holes in the panels then or did they come like this? 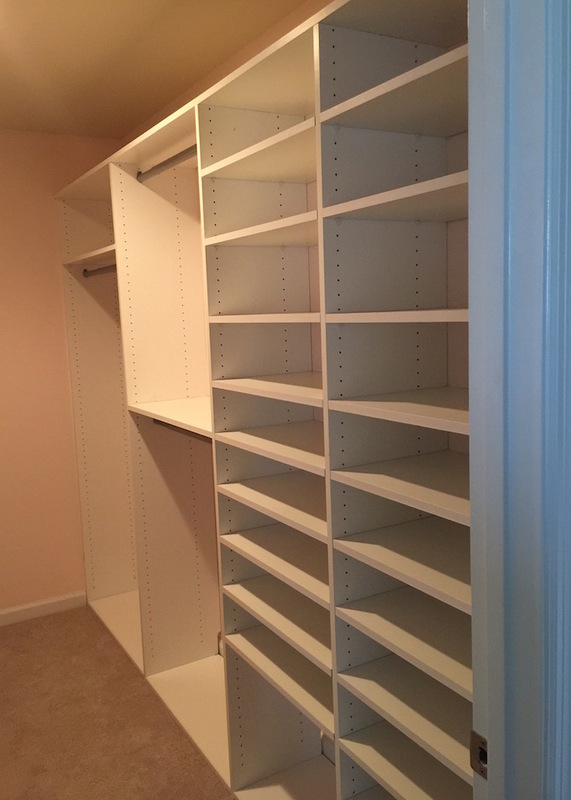 Your closet turned out great. All the white shelving was a great idea. Everything looks so fresh, clean and organized and I like the rug. 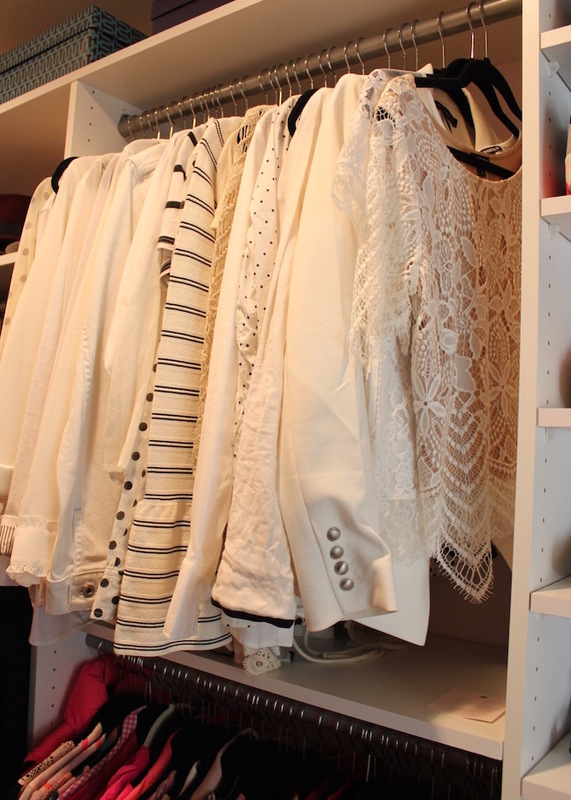 Your shoe collection and white blouse/white tops collection is awesome! Nice post, Very interesting. Roadrunner email is essentially utilized for individual and expert medium. Want to set Roadrunner Email Settings our roadrunner support will help you to determine every one of the issues. Client administrations are accessible at our toll free number +1-888-338-6033 on 24/7 over the globe. Positive site, where did u produce the information with this posting? I'm pleased I ran across it though, ill be checking back soon to find out what additional posts you include.